Kenrick Headley and his students will perform at the Birthplace of B.C. Gallery on Wednesday July 1 Canada Day 2015 from 1 to 3 PM. Kenrick Headley pannist, arranger, composer started playing the steelpan at the tender age of five. The Headley family is well known in the pan world. Kenrick was a member and arranger as well as vice leader of the Esso Tripoli Steelband that played with the famous pianist Liberace for five years. Kenrick has arranged for bands such as Exodus Steel Orchestra, Birdsong, Arima Angel Harps, Tipca, Forzata, Humming bird pan groove, and CAL Invaders. 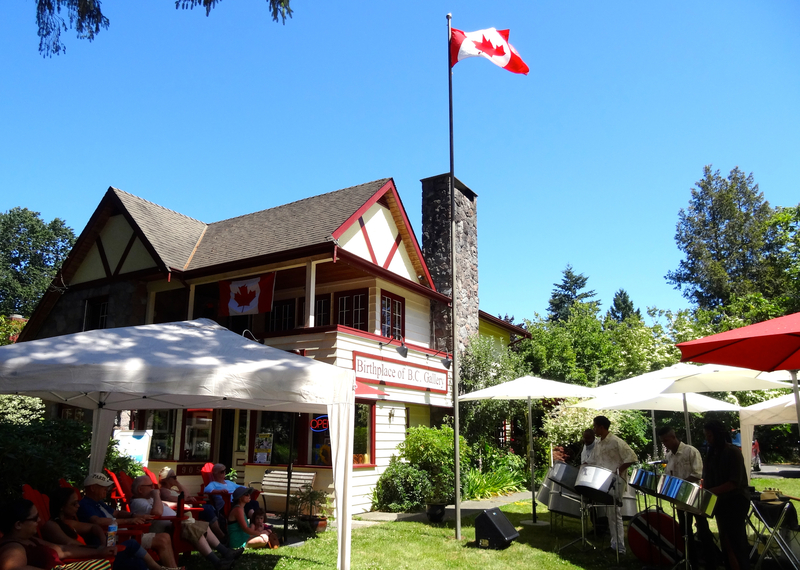 The sound of steelpan drums: another reason to come to Fort Langley on Canada Day. Click here for Kenrick Headley’s steel pan music. Birthplace of B.C. Gallery, 9054 Glover Rd, Fort Langley, 1 to 3 pm Wed. July 1, 2015. This entry was posted in At the Gallery - NOW SHOWING, Barbados Day, Birthplace of B.C. Gallery, Caribbean Festival, Fort Langley Village News, Gallery Special Events and Workshops. Bookmark the permalink.